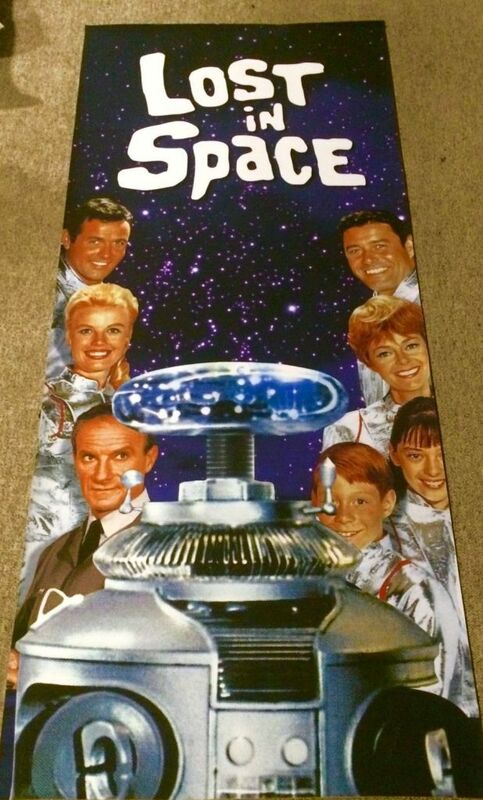 Lost in Space cast and Robot B-9 New York Toy Fair used Banner. Very Rare Display 3' X 7' Huge! It is believed this banner was used to promote the LIS DVD box set? ?